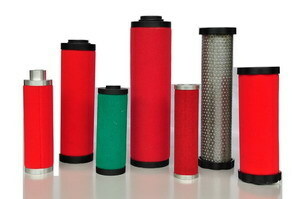 Why We Use Air Filters of Compressor? 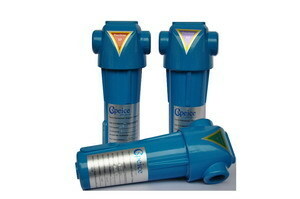 ●The compressed air contains contaminations including moisture, pipe scale and rust. ●Without filters, instruments and tools will malfunction. ●Maintenance of the compressed air system costs will increase and end products will be spoiled. How Filters Work? How To Select? ●Cspeice filters feature an inside and outside air flow, a long understood and proven method of combining filtration efficiency and energy efficiency. ●The inner element surface acts as a pre-filter to remove most water, dust and contaminants. ●The larger outside pores allows the air stream to pass smoothly to minimize the pressure drop. resistant both inside and outside. ●Unique element interface for high efficiency filter performance. ●Filter element performance quaranteed for 12 months. filtration efficiency versus pressure drop. ●Air Quality performance tested in accordance with ISO9001. ISO9001 assumes customers of an efficient and reliable management system,designed to ensure consistent levels of customer service.